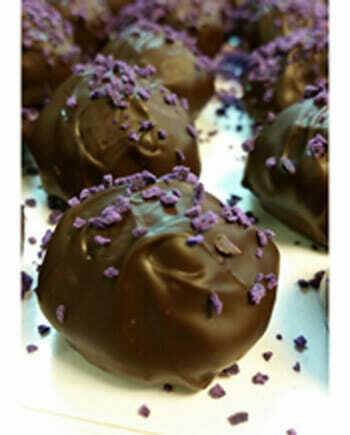 Our Blackberry Truffles have a subtle blackberry flavor from the Blackberry Liqueur. Available in Boxes of 4, 6, 9, 12 and 20. 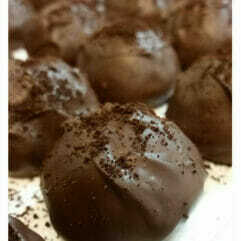 Our Blackberry Truffles have a Smooth Creamy Ganache Center made with Brandy Peak’s Blackberry Liqueur. 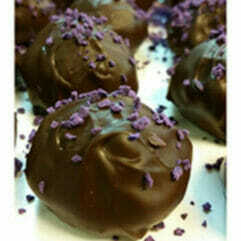 They are hand-dipped in Semi-Sweet (58% Dark) Chocolate and topped with purple-tinted white chocolate sprinkles. Brandy Peak Distillery is in Brookings, Oregon. 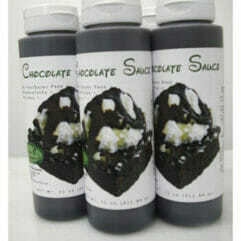 Our rich dark chocolate sauce. Comes in an 11 oz Bottle. 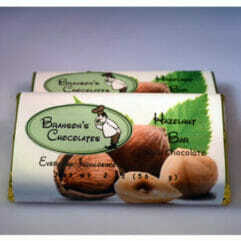 Dry Roasted Oregon Hazelnuts are used for this chocolate bar. Chocolate Bars are available singly, or in boxes of 6. 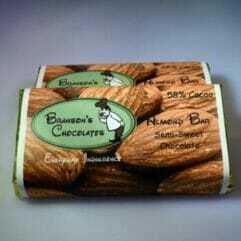 Whole Roasted Salted Almonds are used for this chocolate bar. Chocolate Bars are available singly, or in boxes of 6. 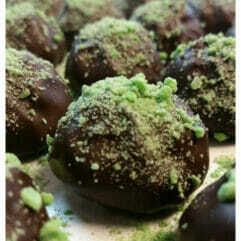 Our Tequila Truffles is topped with lime-flavored chocolate, sprinkled with sea salt and is made with Patron Silver. Available in boxes of 4, 6, 9, 12 and 20. 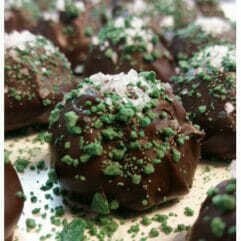 Want to keep up with what’s going on at Branson’s Chocolates.